WHO: Who can control Global Options? 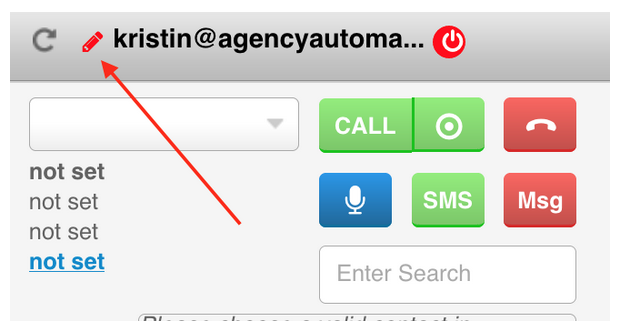 Only account owners will observe a red pencil button next to their Infusionsoft ID on the turboDial Panel. Clicking that button gives access to these owner configuration tools. WHAT: What do Global Options do? Global Options allow account owners to modify the way turboDial functions for all users. 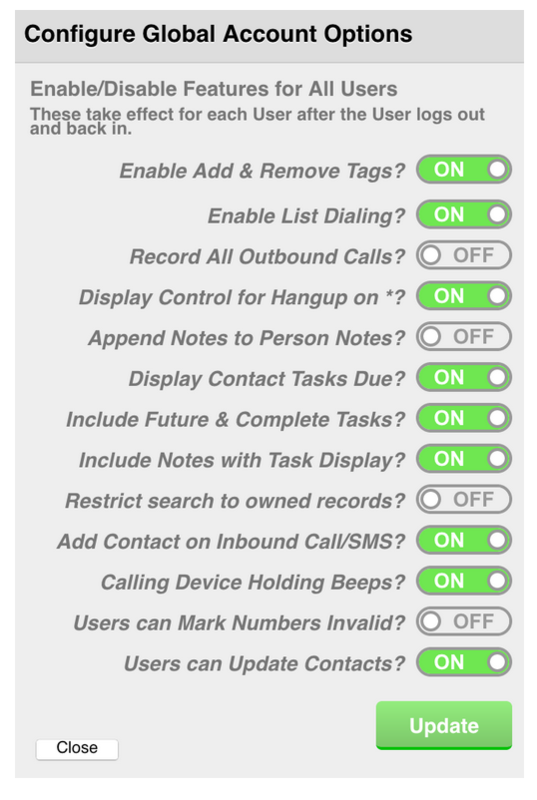 For example, if you are not comfortable allowing your team members to add or remove tags, then you can hide that feature in turboDial using Global Options. WHERE: Where can I find these Global Options? The red pencil button, as shown below, is where you can access the Global Options Menu. WHEN: When will I notice the change? Generally speaking changes in the Global Options become active once the turboDial Panel has been shut down and re-launched by each user. WHY: Why would I need to use Global Options? They are used to tailor turboDial to meet the needs of your team. There are many different Global Options configurations available, the Guides Videos section provides in depth discussion on each one.